Today is the world of smartphones and gadgets. Thus, due to the busy schedule, everyone wants to finish their tasks in a single click. The user can apply and register for VOTER’s id with the help of few clicks through online services. The government of India has given the right to vote and thus, NIC department of every state has created website of Chief Electoral. Electoral Photo Identification Card or VOTER’s ID card is very important for every citizen who is willing to take part in the Indian Election voting system. Thus, the Government of Karnataka is providing online services to all the citizens of their state to submit the request and get the card. All the information of every citizen including name, registration and forms, or to say in simplest terms, anything that is related to voting, elections, rules and polls is easily available in the website www.ceokarnataka.kar.nic.in. The content is provided by the Election Commission of India. 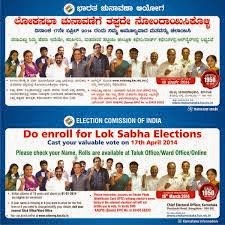 The information about VOTER ID card can also be taken from political parties of Karnataka who gets active on this website. How to fill the form accurately? Open the website www.ceo.karnataka.kar.nic.in and select the Registration Online Option. You will be automatically forwarded to the next page i.e. www.VOTERreg.kar.nic.in/page. On this page you will see a sign up option. Click on the button and create a new account along with a password. Fill all the information including first name, last name, existing mobile number and email-id. You will receive a confirmation message through both the sources i.e. mail and SMS. After the confirmation message, you will next get a unique login id and password to select the form 6. Open the form 6 with this id and password, fill the required details and submit again. All the details filled in the form 6 gets verified by a specific person that comes to your place from Electoral Registration Office. He will confirm all the details and notify you the date and time to visit the nearest BLO (Booth Level Officer) place just to collect the VOTER ID card. One citizen can apply only once for VOTER’s ID card. There are many documents that would be required to submit before applying for the VOTER’s ID card. The applicant must have address proof to know whether the citizen belongs to Karnataka or not. Other than the address proof, passport size photos and original DOB certificate must be present to fulfil the age criteria i.e. above 18 years as on Jan 1 of the respective year. 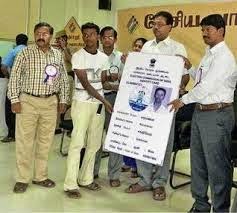 There is also a need of reference of any family member who is already having a VOTER ID card. In case of a student, who is residing in hostel, he or she would have to submit Student Declaration Form signed as well as attested by registrar or Principal. NOC letter and rent agreement signed by the owner shall also be required if you are staying on rent. To avoid redundancy, you have to fill part 4 in form 6 if having VOTER ID card of any other state. The content of the website gets updated to provide all the relevant information. Further, to make things easier, toll free numbers are given in the respective website for all the respective districts. You can call in case of any complaint or issue. 4 Komentar untuk "How to apply for a new ["VOTER ID CARD''] in the state of Karnataka - ["State Election Commission of Karnataka Officials"]"